Running a successful campaign has never been so easy! 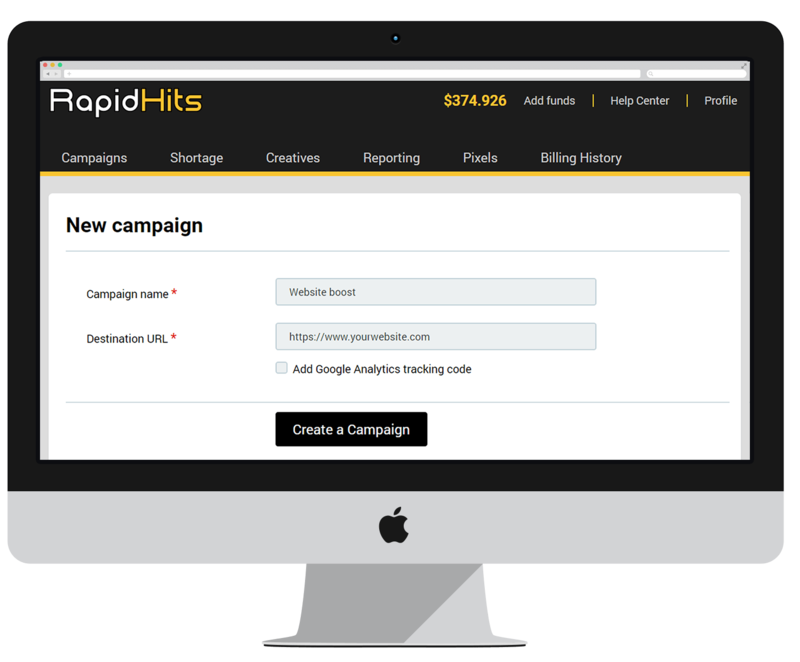 RapidHits DSP is a self-serve advertising solution, built on RTB (real-time bidding) technology and offers pop-up, pop-under and interstitial advertising formats in a brand-safe environment. Our advertising platform uses state-of-the-art targeting tools to deliver real audiences, with real results. Whether you want to go local or international, mobile or desktop, we have the right traffic for you at the right price. Thanks to our extensive network, we can offer our advertising services in the minimum bid rates of the global market. Sign up, deposit money and start getting traffic. It’s so easy!